Green up your office with eco-friendly paper products. Doing so has never been easier and more affordable thanks to the following green office supply stores. 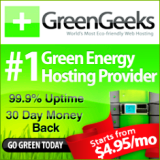 These are truly green companies too. They do not just sell eco-friendly paper and office supplies, they practice green business too. The selection of recycled paper and other types of paper has never been better either. Remember, just because an office product says it's green does not always mean it is a truly eco-friendly product. The stores we recommend below have the accreditations to back them up. GUIDED PRODUCTS is GREEN GRANNY APPROVED! THE GREEN OFFICE is GREEN GRANNY APPROVED! 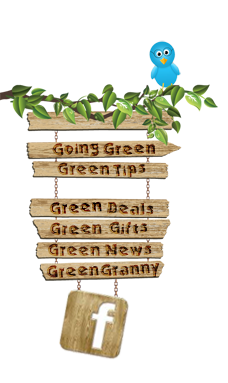 THE ULTIMATE GREEN STORE is GREEN GRANNY APPROVED! BUY GREEN is GREEN GRANNY APPROVED! Eco-friendly paper includes tree free paper, recycled paper made from 100% post consumer materials and more. These days (thankfully) there is a wide variety of eco-friendly paper, not to mention products that can be made from it. In fact, you will undoubtedly be surprised at the materials eco-friendly paper is made from. This directory will specifically focus on office paper, not necessarily on all the products that are made from eco-friendly paper. The stores we have recommended above are all companies that sell a great selection of environmentally conscious paper for writing on and printing on. What we specifically like about the advocated stores above is that they are indeed green business in that they practice green business as well as well green products. Some features and accreditations you will want to look for when buying eco-friendly paper are EPA procurement standards, percentage of actual post consumer materials involved in making the paper (obviously the higher the percentage the better), green certifications, forestry stewardships, and more. Most of the companies we recommend will have sections on the site that even promote free educational tools (webinars, blogs) for greening up your office space. If you are new to buying green products for your office such as eco-friendly paper, online stores are great as they are packed with useful information regarding eco-friendly products they sell. Please take a look at the fine companies we highly recommend for your eco-friendly paper needs. These are companies that we applaud fro price, quality, availability, shipping costs, and customer service.